Okay it’s officially September so I feel like I can start with a pumpkin recipes. Starting with these Flourless Pumpkin Cookies. One can never have too many pumpkin recipes right? Especially if they are healthy pumpkin recipes. t’s super easy, has few ingredients and there is no mixer needed! 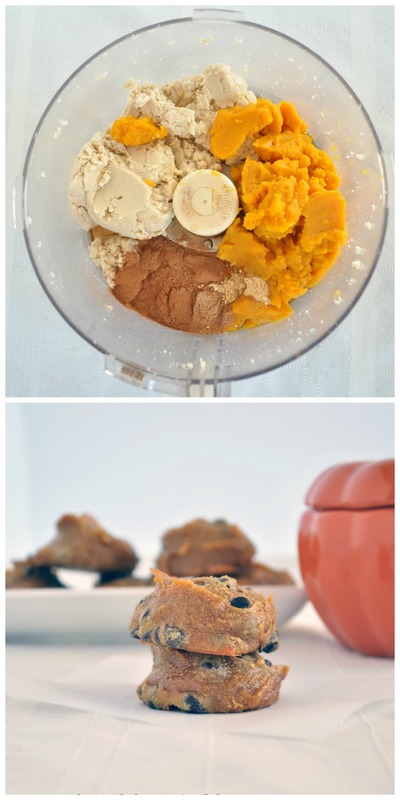 If you are a lover of all things pumpkin, you may also enjoy this post. 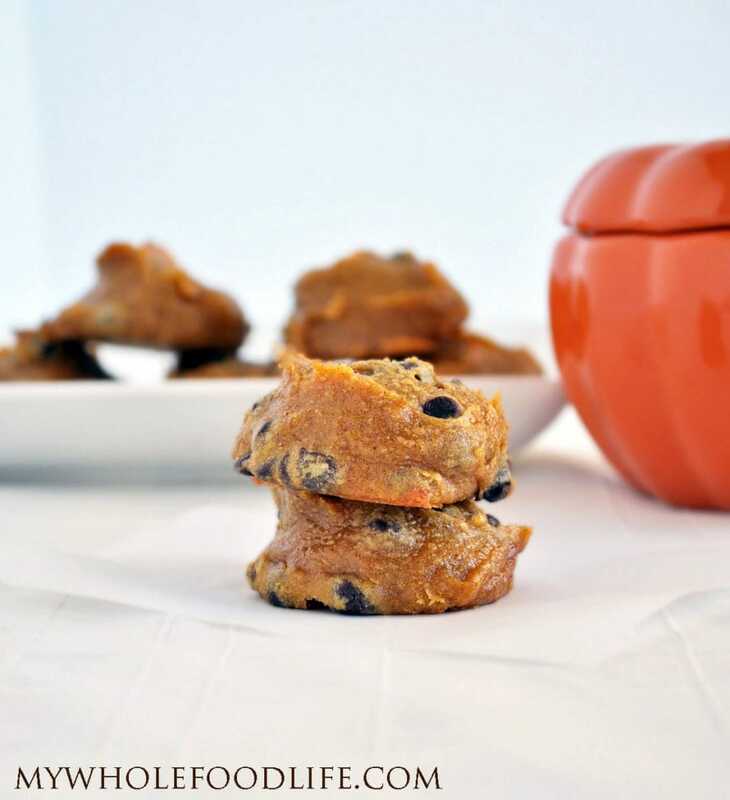 These pumpkin cookies are vegan, gluten free and grain free. They are also paleo friendly. If you wanted a nut free version, you could probably use pumpkin butter or sunflower seed butter in place of the cashew butter. These cookies also freeze well if you want to make a double batch! These pumpkin cookies contain NO flour and NO processed sugar! In a food processor , mix all the ingredients except the chocolate chips. Once the mixture is firm enough, drop cookies on a lined baking sheet . I used a cookie scoop to do this. Store these cookies in the fridge. They should last at least a week or two. You can also freeze them for longer storage. Enjoy! Do you just put only cashews in a food processor to make the homemade cashew butter?